Men all over the world discuss beautiful women and usually disagree as to the country where the most beautiful women hail from. I have compiled a list of the top 10 countries with the most beautiful women based on internet research and polls as to what most people around the globe agree on. The Dutch women are known to be some of the tallest in the world and those long legs are one factor that contributes to making the women of Netherlands so beautiful. Dutch women are known to be friendly and welcoming which means big smiles on their pretty faces. Similar to the U.S., Canada is a multicultural society and as such its women hail from every ethnicity and nationality making a tremendous mix of beauty. The reason that puts Canada above the USA is that the women of Canada tend to have lower obesity rates and in general are more fit and trim making them more beautiful. Indians are a mix of nations and tend have beautiful exotic looks. Indian women have a natural tan giving them a beautiful skin color. They have beautiful olive black eyes and tend to be petite which can be more attractive. Women of India are very aware of their culture and are friendly and polite. All these factors contribute to India having such beautiful women. Ukraine is famous for its mail order brides and it is for good reason that men turn to this nation as the women are beautiful. The capital city of Kiev is known to have some of the most beautiful women in the world. Women of the Ukraine are known to take of their appearance and are very proud of their femininity. South Africa is not only known for its beautiful beaches but for its beautiful women too. Recently Candice Swanepoel of South Africa was named the most beautiful woman in the world. South African women take care of their figures, eat healthy and are constantly aware of fashion ans styles to make their femininity stand out. A lot of the reason for Russia having such beautiful women is genetics. Russian women exhibit genetic features such as high cheek bones, small nose and plump lips which make them extremely attractive. Another reason is that Russian women keep slim and up to date with fashion styles which are feminine and elegant. Venezuela holds the record for the most international beauty pageant winners – 6 Miss World, 7 Miss Universe, 6 Miss International and 2 Miss Earth titles. Venezuelan women gets their beauty in part from the fact that there were such a mix of nations in this country, indigenous, African and European and this has resulted in some of the most beautiful women in the world. Brazilian women are known to be beauties. A lot of this has to do with skin tone and bone structure that so many Brazilian beauties have. Brazil is famous for the “Miss Bum Bum” contest, a beauty pageant where the winners are chosen for their most beautiful bottom. This also makes Brazilian women famous for having the most beautiful bums in the world. Argentina not only has the most beautiful women in South America but in the Western Hemisphere. 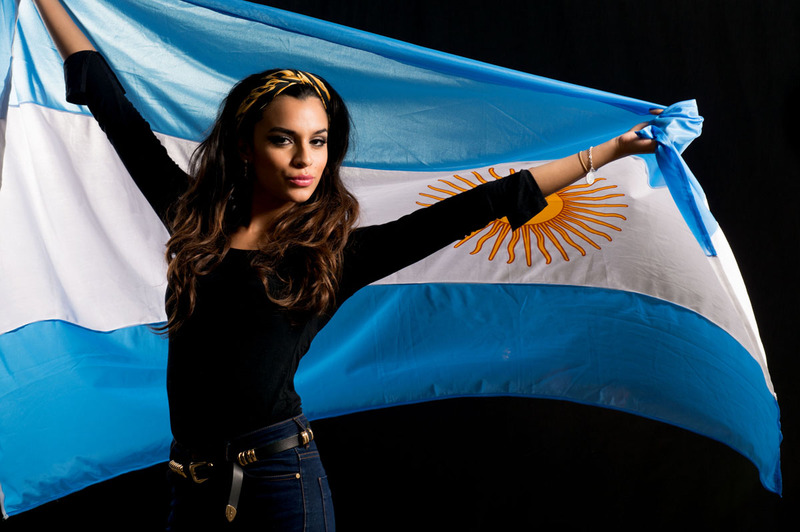 The women of Argentina pride themselves on being beautiful and staying that way, therefore in general they are very fit and like to stay in shape as well as adhere to strict diets to keep those beautiful bodies. There is a diverse mix of cultures in this country, the most prominent being Italian, and this mixture of cultures contributes to the beautiful features of this country. Everything you have heard about Swedish women is true – they are the most beautiful women in the world. The women are tall with blonde hair and blue eyes. Not only are they friendly and outgoing in nature but smart, well educated women. Another factor that makes the women of this country so beautiful is that in general they have the most beautiful clear skin which is probably due to the fact of the Northern climate compared to the harsher hot climates in many of the other countries.